The dream of the '90s is alive in tvOS...or it should be, anyway. The first Mac my family bought came with a pack of CD-ROMs; I know, I am a young whippersnapper. Myst was there, as was the The Daedalus Encounter, and I sank plenty of time into each, despite not getting very far in either. 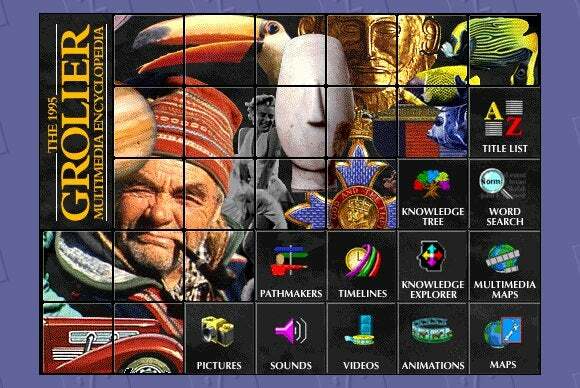 But the one I remember spending the most time using, and which I gazed at with as much wonder as I did the dazzling, enigmatic landscapes of Myst, was the Grolier Multimedia Encyclopedia. Multimedia! 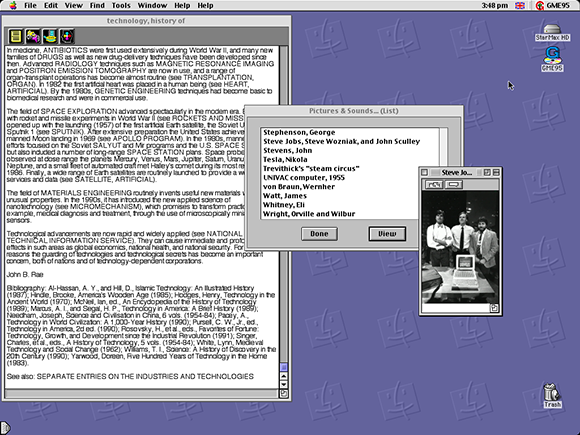 Oh, is there a word that more readily captures the excitement of computers in the ’90s? Today we are but a click away from videos, high-res images, rich animations and so much more, but in the mid-’90s that just wasn’t true. 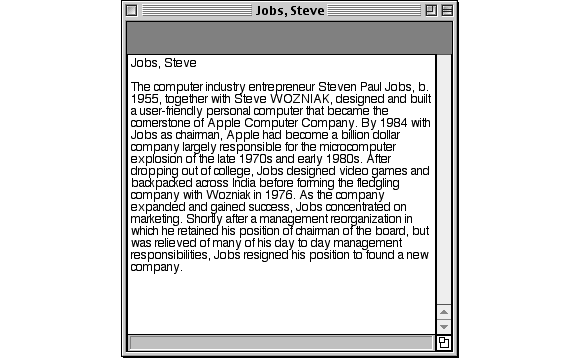 I don’t think I can properly communicate to anyone too young to have had this experience, but having grown up with monochrome screens and text-based interfaces, and even the restrained, simple, rectilinear forms of a “graphical” user interface, putting a CD-ROM into a computer and seeing the riot of photos and icons at the top of this page was in and of itself hugely exciting. It brimmed with promise, and made you excited to explore an encyclopedia like nothing at all since… well, since those fabulous multi-volume paper encyclopedias. 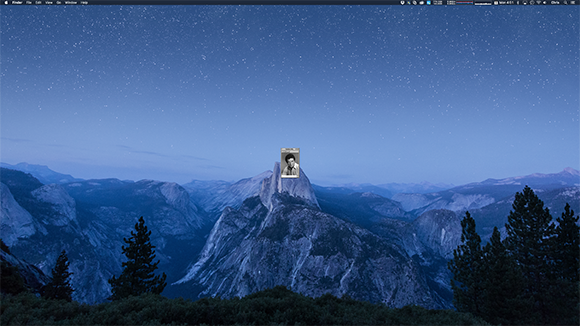 I was one of those kids that just loved poring through encyclopedias and atlases, and the fact that now I could do so _on a computer_—since computers were the best thing ever—was delight slathered on top of bliss and wrapped up in glee. And such an encyclopedia! 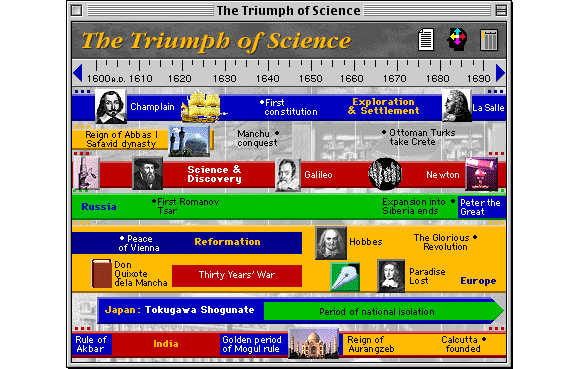 Timelines! Maps that you could click on so you could find out more rather than having to haul down another tome and flick through till you found the relevant city. And that shining, ultimate promise of any multimedia extravaganza, video! Tiny, tiny, video. 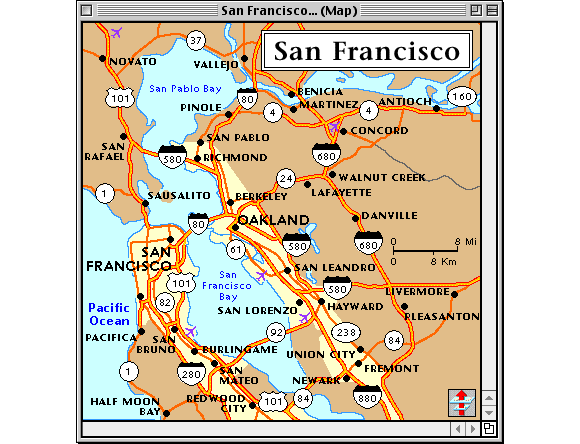 Similarly, I was amused to find myself searching for the zoom controls on this map of San Francisco so I could get closer and spot the Macworld offices. And it’s not just through technical limitations that you are reminded that this CD-ROM is actually from a different age, at least in computing terms. The voiceovers have a stentorian, stagey feel that instantly feels archaic. Watch the guide to space exploration, for example, and it starts, portentously, with a voice slowly declaiming, “Outer space. Its mystery and vastness has long fired the human imagination,” before carrying on in much the same slightly pompous, NPR vein. 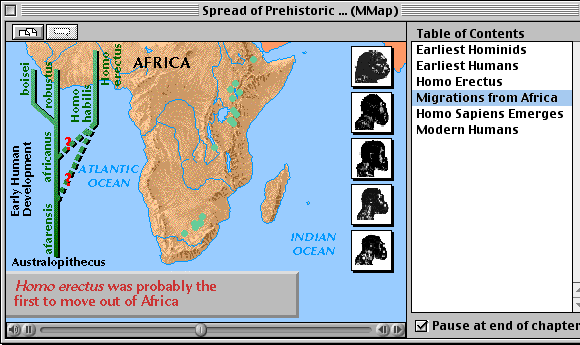 I was, though, reminded, as I pottered through this CD-ROM today, that if you think that Wikipedia is the natural descendent of Grolier and its ilk, we have lost something. Not just, for me at least, the sense of excitement about the medium itself—because as much as I reply on and support Wikipedia, I find it hard to summon up all that much emotion about it—but also the value of good and sensitive use of multimedia. Scroll through a Wikipedia article and you will, of course, see photos and videos and diagrams that help explain it to you, but there’s nothing that I know of quite like these multimedia maps on the Grolier Multimedia Encyclopedia. They walk you though events such as early human development, showing you at the same time as telling you what is happening. A related modern equivalent is just the TV documentary, but it’s linear, and doesn’t lend itself as well to jumping about and recapping to suit your learning style. 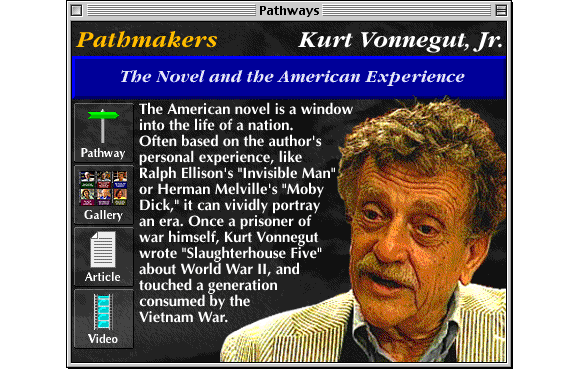 Likewise, Grolier’s Pathmakers feature, in which luminaries from various fields guide you through a topic using audio, video, photos, text and more, is quite wonderful. The natural successor for this stuff is apps, and not just apps on iOS, but apps on the Apple TV. Apps that mix beautiful video with graphics and navigability and authority and style and humor and rigorousness, and that let me learn from my armchair. And you know what? With yesterday’s tweet from Tim Cook congratulating Touchpress on their wonderful Classical Music Reimagined app for Apple TV and so tacitly encouraging other devs to explore the potential of this format, I think I might get them.